Julian Medforth Budden OBE FBA (9 April 1924 in Hoylake, Wirral – 28 February 2007 in Florence, Italy) was a British opera scholar, radio producer and broadcaster. He is particularly known for his three volumes on the operas of Giuseppe Verdi (published in 1973, 1978, & 1981), a single-volume biography in 1982 and a single-volume work on Giacomo Puccini and his operas in 2002. He is also the author of numerous entries in the Grove Dictionary of Music and Musicians . Hoylake is a seaside town within the Metropolitan Borough of Wirral, Merseyside, England. The town is located at the north western corner of the Wirral Peninsula, near to the town of West Kirby and where the River Dee estuary meets the Irish Sea. Historically part of Cheshire, at the time of the Domesday it was within the Hundred of Wilaveston. Wirral, also known as The Wirral, is a peninsula in North West England. The Metropolitan Borough of Wirral is part of the Liverpool City Region. It is bounded to the west by the River Dee, forming a boundary with Wales, to the east by the River Mersey, and to the north by the Irish Sea. Stowe School is a selective independent school in Stowe, Buckinghamshire. It was opened on 11 May 1923, initially with 99 schoolboys, and with J. F. Roxburgh as the first headmaster. The school is a member of the Rugby Group, the Headmasters' and Headmistresses' Conference, and the G20 Schools' Group. Originally for boys only, the school is now coeducational, with some 550 boys and 220 girls. The Queen's College is a constituent college of the University of Oxford, England. The college was founded in 1341 by Robert de Eglesfield (d'Eglesfield) in honour of Queen Philippa of Hainault. It is distinguished by its predominantly neoclassical architecture, which includes buildings designed by Sir Christopher Wren and Nicholas Hawksmoor. The Friends' Ambulance Unit (FAU) was a volunteer ambulance service, founded by individual members of the British Religious Society of Friends (Quakers), in line with their Peace Testimony. The FAU operated from 1914–1919, 1939–1946 and 1946–1959 in 25 different countries around the world. It was independent of the Quakers' organisation and chiefly staffed by registered conscientious objectors. The Listener was a weekly magazine established by the BBC in January 1929 which ceased publication in 1991. The entire digitised archive was made available for purchase online to libraries, educational and research institutions in 2011. Lucca is a city and comune in Tuscany, Central Italy, on the Serchio, in a fertile plain near the Tyrrhenian Sea. It is the capital of the Province of Lucca. It is famous for its intact Renaissance-era city walls. Giacomo Antonio Domenico Michele Secondo Maria Puccini was an Italian opera composer who has been called "the greatest composer of Italian opera after Verdi". Aroldo is an opera in four acts by Giuseppe Verdi to an Italian libretto by Francesco Maria Piave, based on and adapted from their earlier 1850 collaboration, Stiffelio. The first performance was given in the Teatro Nuovo Comunale in Rimini on 16 August 1857. 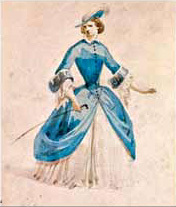 La battaglia di Legnano is an opera in four acts, with music by Giuseppe Verdi to an Italian-language libretto by Salvadore Cammarano. It was based on the play La Bataille de Toulouse by Joseph Méry, later the co-librettist of Don Carlos. 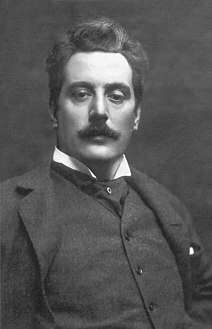 "E lucevan le stelle" is a romantic aria from the third act of Giacomo Puccini's opera Tosca from 1900, composed to an Italian libretto by Luigi Illica and Giuseppe Giacosa. It is sung in act 3 by Mario Cavaradossi (tenor), a painter in love with the singer Tosca, while he waits for his execution on the roof of Castel Sant'Angelo. David Rosen is an expert in nineteenth- and early twentieth-century Italian opera. He is noted for having discovered the complete score of Messa per Rossini, presumed lost, in the archives of the Italian music publishing house G. Ricordi & Co in 1986. Deborah Burton is an American music theorist, pianist, and academic. She is particularly known for her publications on Giacomo Puccini and his works, including the 2004 book Tosca's Prism: Three Moments of Western Cultural History. She has contributed articles to numerous music journals, including Nuova Rivista Musicale, Opera Quarterly, Studi Musicali, and Theoria. In opera, a banda refers to a musical ensemble which is used in addition to the main orchestra and plays the music which is actually heard by the characters in the opera. A banda sul palco was prominently used in Rossini's Neapolitan operas. Verdi used the term banda to refer to a banda sul palco, as in the score for Rigoletto. He used the term banda interna, to refer to a band which is still separate from the orchestra but heard from the off-stage wings. The early scores of La traviata use a banda interna. Emma Zilli was an Italian soprano, possibly best known for creating the role of Alice in Verdi's Falstaff in 1893. ↑ Budden, J., "I can't live without ...Le nozze di Figaro", Opera (London), November 2000, Vol. 51 No. 11, p. 1392. 1 2 3 4 5 Parker, Roger, "Julian Budden 1924–2007", Opera (London), May 2007, pp. 538–39. ↑ Later in life he returned to review opera productions at Stowe. See: Rusalka (review). Opera (London), December 2001, pp. 1525–26. 1 2 3 Obituary – Julian Budden, The Times , 13 March 2007.